Taking over at Dortmund in '08, Klopp led them to successive league titles in his 3rd and 4th years. That was not the most recent of Klopp’s lines, or even his best. Here are a few samples. A bad result may not have left Klopp with nothing to say, but there is an increasing feeling that for the maverick coach, the current season is something of a dark harbinger. Taking over at Dortmund with the club on the verge of bankruptcy in 2008, Klopp led them to successive league titles in his third and fourth years in charge, thrashing Bayern along the way. The next year, Dortmund finished second and after beating Mourinho’s Madrid in the group stages and the semifinal of the Champions League, held their own against Bayern for 89 minutes in the final. Now, though, Dortmund are at an ebb. They are a distant second in the Bundesliga and may not stay there come end of season. Klopp’s gegenpressing requires exceptional physical fitness and the small squad has been stretched beyond its limits for a couple of seasons now. Injuries have kept out key players this season. Bigger clubs have poached Dortmund’s stars. With exposure, other clubs have, inevitably, countered Dortmund better. 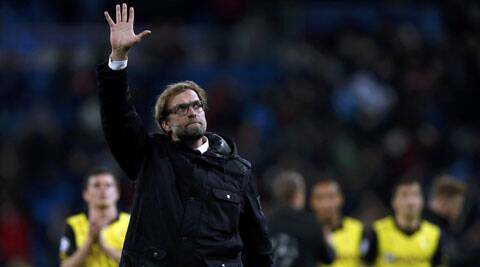 Klopp has called his journey with Dortmund “the most exciting and emotional journey in football” while signing on until 2018. Klopp’s re-invention (or is it re-re invention?) of Dortmund will be revetting to follow, on the pitch and, as ever, in front of the mic.